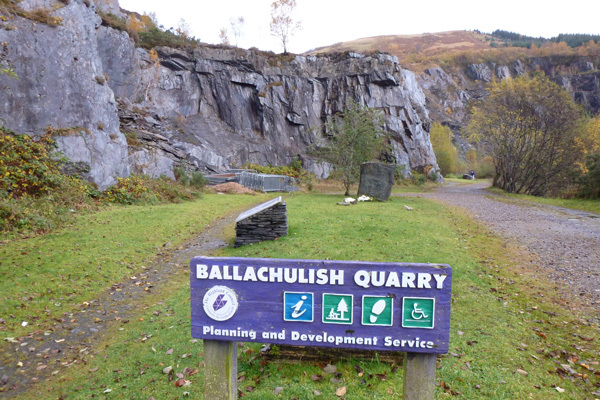 The Ballachulish Slate Quarry cuts into a large deposit of Ballachulish Slate Formation (Graphitic Pelite) formed during the Precambrian about 800 million years ago, following low grade metamorphism of very fine grained mud shales (containing iron pyrite) . The shales are part of the Dalradian Supergroup which have been subjected to subsequent localised intrusions (including basaltic dykes and quartz veins). Iron and sulphur deposits have imparted a bluish hue to the slate. 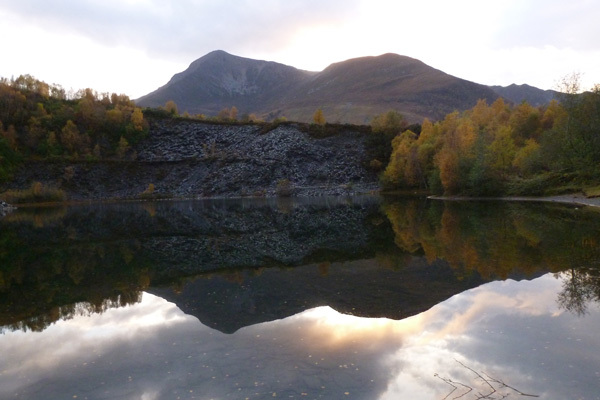 Ballachulish Slate Quarry was established in 1692 and thrived during the 18th Century producing many of the slate roof tiles for surrounding areas and those destined for Edinburgh and Glasgow. 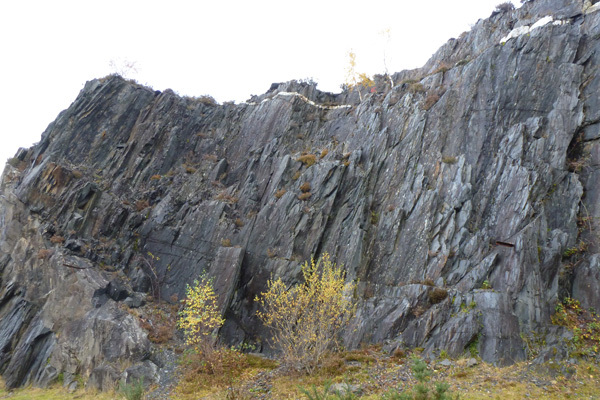 In 1845, the quarry supplied 26 million slates. However, much of the quarried slate was not fit for purpose due to the presence of small quantities of iron pyrite which weathered rapidly in the Scottish climate and increased the porosity of the tiles. 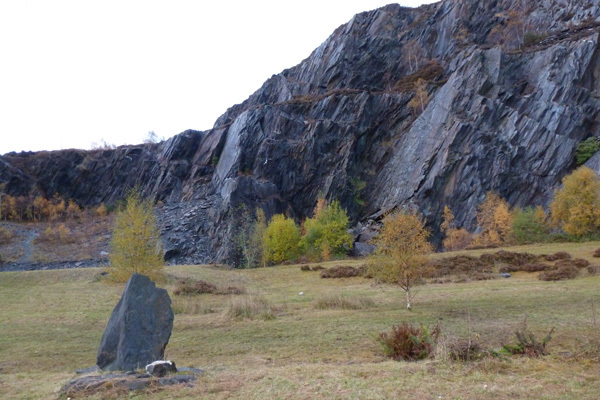 The quarry had a major impact of the lives of the villages, many of whom were employed in the mine. All were affected directly or indirectly by its activities, and the intermittent deafening explosions and the continual drilling, hammering and chiselling by both machine and man adversely affected the village soundscape. 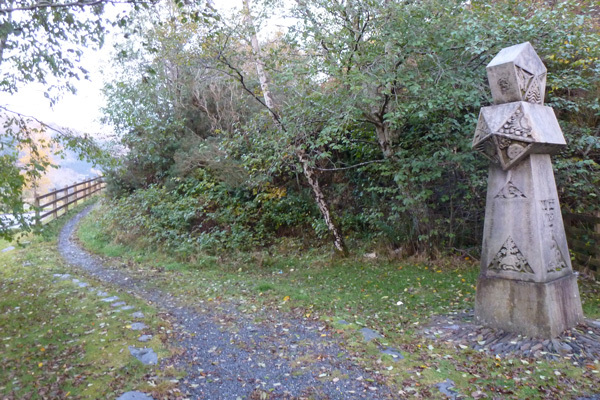 There were also two long running dispute over medical care between the management and the work forces, before the quarry eventually closed in 1955. 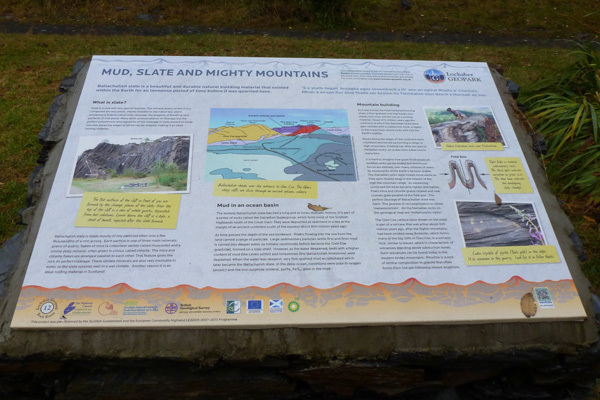 There is a short and interesting walk around the quarry, supported by interpretation boards on the history of the quarry, the people, the nature and versatility of Ballachulish Slate, as well as an excellent interpretation of the geology of the area (Lochaber Geopark). 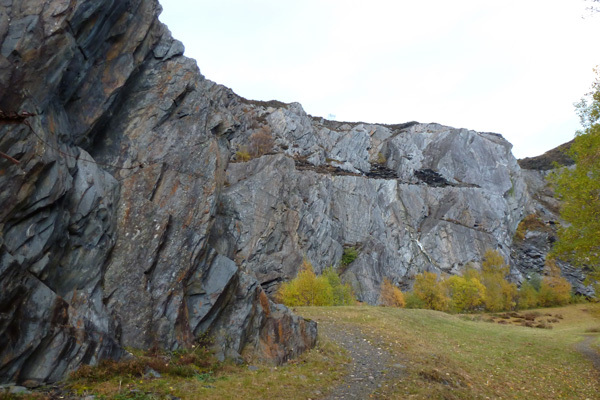 There are good views of the exposed quarry faces with complex inclined bedding planes revealing the basalt dykes and quartz veins, as well as slaty cleavage planes. 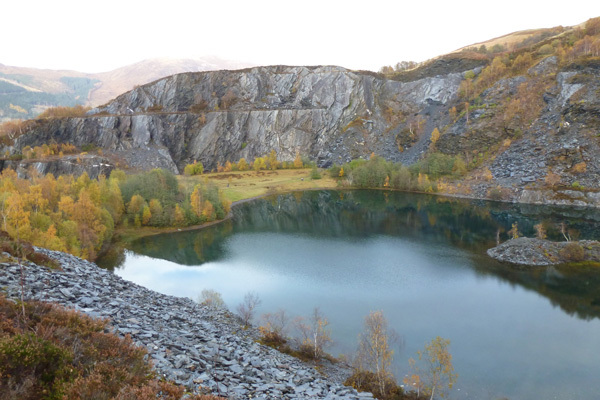 There are two lovely deep quarry lochans, with bluish hues (due to the presence of iron and sulphur); the second characterised by steep scree slopes. 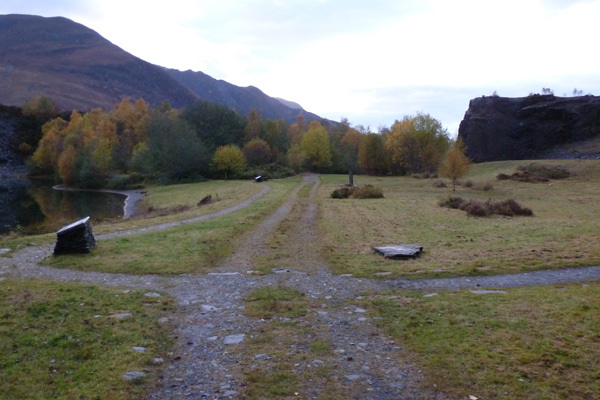 There are several picnic tables on site as well as a standing stone. 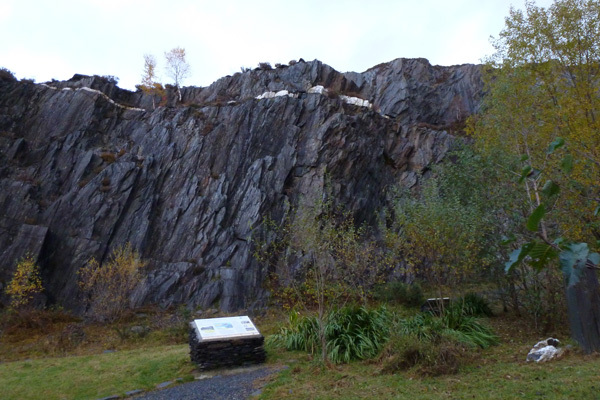 There is also a short walk from the quarry to a slate arch by the side of the A82. The arch is made entirely of slate and is over 24 m high. 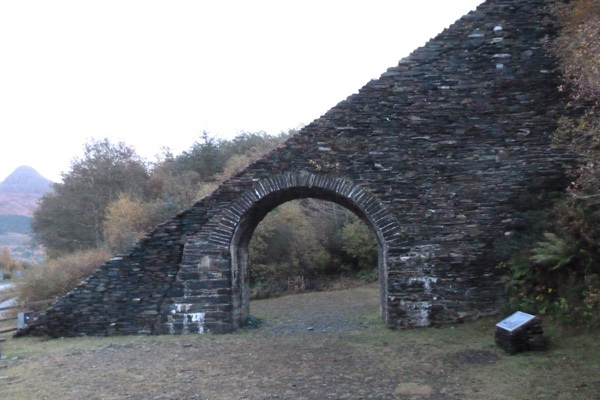 The arch was originally one of a pair and was constructed in 1822 to assist the movement of slate from the upper quarry to the shore front using a fly wheel for transport on wagons. 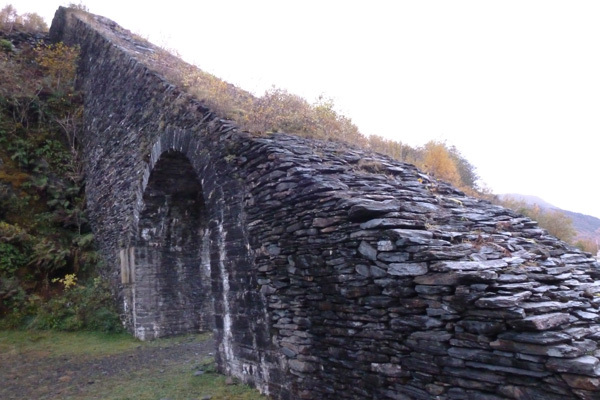 The slate arch is designated as a scheduled monument by Historic Scotland. A really interesting site and well worth a visit!